Three weeks, three conferences and one interdisciplinary research day. 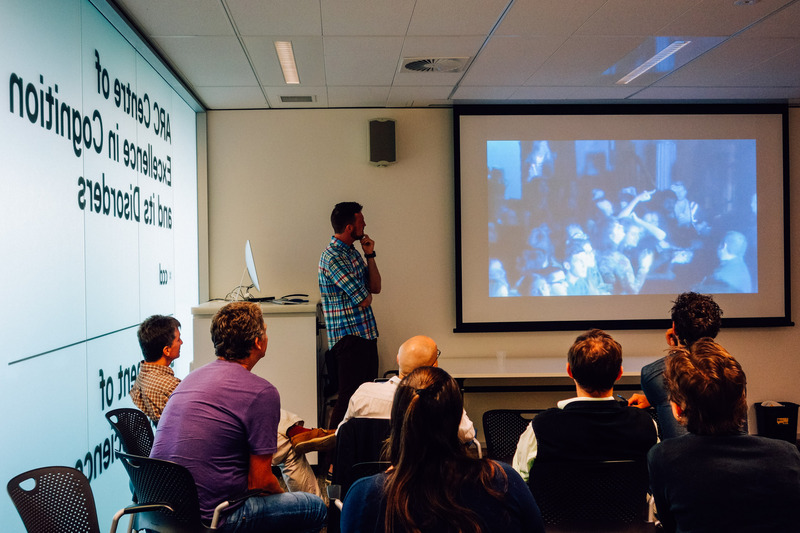 Each gathering brought together academic thinkers from a diverse range of disciplinary backgrounds. Conversation was rich, ideas were shared generously, new working relationships were developed and momentum was built for a busy period of writing ahead. Andrew Geeves has a wonderfully engaging presentation style. Here he talks about what connection with an audience means for different musicians. First on the list was ‘Memory, Music, Performance Day’ at Macquarie University. This one saw a series of presentations with common threads of music, cognition, awareness and enjoyment. What actually happens when someone loses track of time, place and their own sense of self while playing? Who is the ideal audience member for different types of artists? And the question I found myself asking as I sat back and listened to each presentation, how can learning more about these elements of music performance enrich studies of theatre and sport? The answer: many ways. Please keep these interdisciplinary gatherings happening! The ‘Happiness, Joy and Pleasure’ Conference took place at the University of Sydney two days later. This one was run for and by postgraduate students. Once again it was a place to share research, learn from others, and meet people who share similar interests and goals. I was invited to be part of the academic roundtable on the final day. It was designed as a forum for people at different stages of their post-PhD career to answer questions and share stories or advice. A common theme of questions was one about expectations – how to form them, and how to adjust them when, say, there aren’t any clear, stable job prospects or pathways to follow after completing a Humanities PhD. By combining research and media I’ve followed a different trajectory to most people who want to stay in academia in the long term. This has meant a regular process of reinvention as both landscapes keep changing. In order to stay on top of deadlines, setting realistic expectations, and knowing where and how to find out more when instincts are coming up blank, has been an important part of the my own process too. Constant up skilling, reading, learning, and finding ways to combine heavy work demands needs to be met with a healthy balance of off time. Role models are important and not always easy to find. Which brings me to the University of Wollongong, for the Cultural Studies Association of Australasia Conference. Here I presented on day one. The presentation came from a book chapter I’m writing for Women in Action Sport Cultures: Identity, Politics, Experience and Pedagogy, edited by Rebecca Olive and Holly Thorpe. I talked about the ways new technology and designs in mountain biking are changing the experiences of the sport for recreational riders. The fieldwork for this presentation drew on recent product tests for flowmountainbike.com and experiences racing the final round of the Australian Gravity Enduro Series in Cairns. As an early career researcher, it’s often necessary to work multiple part time jobs at once, some teaching, some research, some seemingly unrelated. The mix works best when you can draw on experiences in one to be even better at the other. One of the most rewarding parts of this conference for me was post-presentation discussions with other researchers who see areas of overlap with this (range of) work too. I also enjoyed papers by other scholars who have found ways to link fascinating research projects with real world outcomes, experiences and events. There were role models everywhere, which was motivating too. 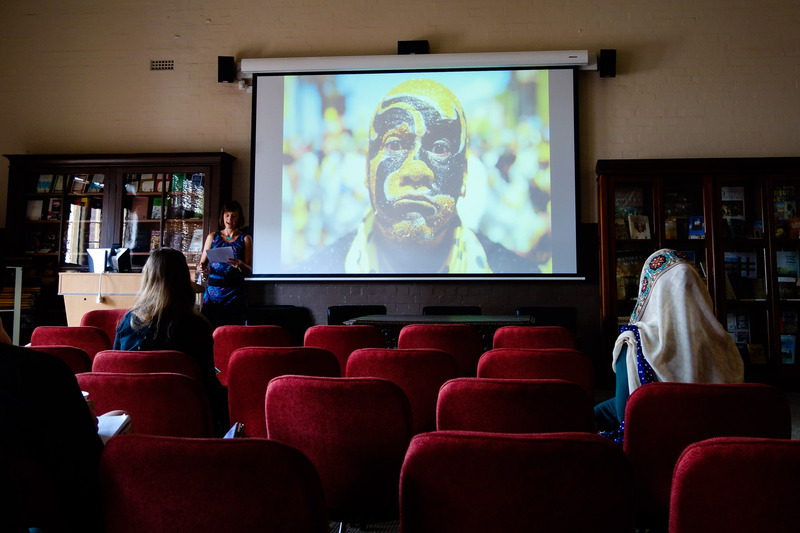 The last conference on the agenda was the Australasian Society for Cognitive Sciences three-day event at Monash University in Melbourne. 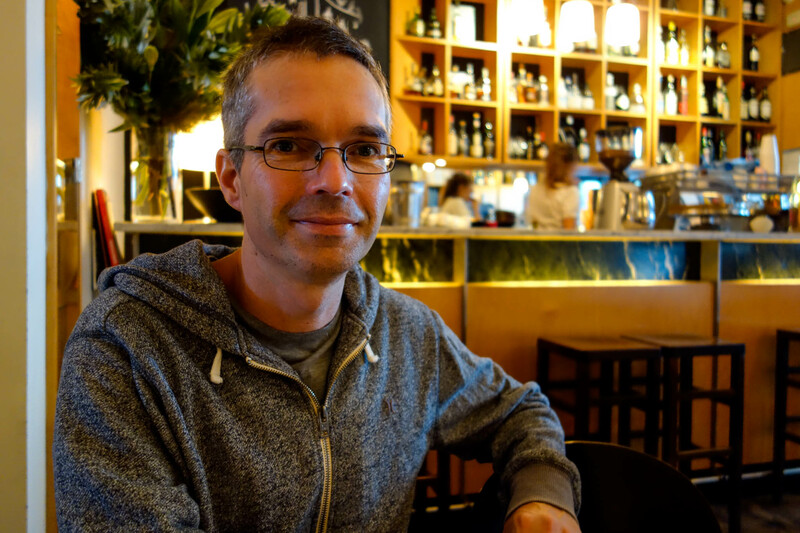 I presented the same case study as I did at the Cultural Studies event, but teamed up with philosopher Wayne Christensen to interrogate this experience from a very different perspective. 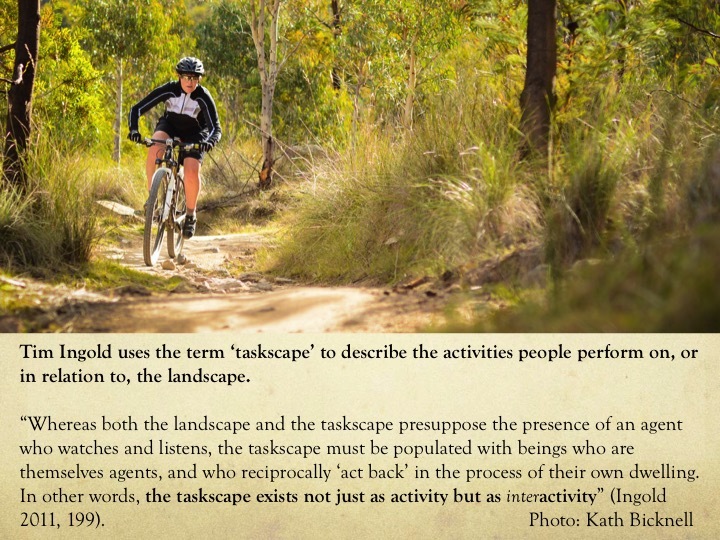 We used the example of riding rocky, technical terrain for the first time to investigate senses of control and agency, or how we know and understand the times when we are the authors of our own actions; the times when I’m riding the bike rather than the bike riding me for instance. Wayne and I have been working together on skill and cognition all year, as part of an interdisciplinary team (including John Sutton, Doris McIlwain and Andrew Geeves) from Cognitive Science at Macquarie University. It was great to pull some work together for a discerning audience, and excellent to spend the time in Melbourne getting to know colleagues from Macquarie and other institutions better too; discovering more about who they are and the work they do. Conferences are good like that. Once again, many excellent role models to learn from. I feel privileged to call some of these people workmates too. Relaxing with Wayno at Gertrude Street Enoteca wine bar in Fitzroy. Melbourne does food and drink so well, but this place sets the standard even higher. Thanks to everyone who pulled these events together and encouraged such a productive cross-pollination of thinking and ideas. Thank you also to Elaine Kelly, Wayne Christensen, John Michael, John Sutton, Andrew Geeves and Doris McIlwain for your collaboration, workshopping, thirst for good research (and conference experiences) and support. I get really excited about the richness that happens to research when scholars from different disciplinary backgrounds start to collaborate on new projects, forming more rounded perspectives and solving compelling problems in their respective fields. If I could return to the Happiness roundtable and offer one last thought it would be to work hard, to be generous toward others and explore the ideas that challenge and engage you the most. Go to conferences and keep making an effort to talk about the research you’re fascinated by in ways that open out to other people’s interests as well. The momentum these events provide for future work is as valuable as the sharing (and critiquing) of work done so far. Four in three weeks is a little ambitious, but try to hit up at least one or two a year. International events always have a certain glow about them, but there’s a lot to be gained from much more affordable gatherings closer to home. Abstracts for the Cultural Studies and Cognitive Science papers are below. Please get in touch if you would like a copy of writing published on these topics later on. Technological innovation and the female mountain biker’s ‘I can’. 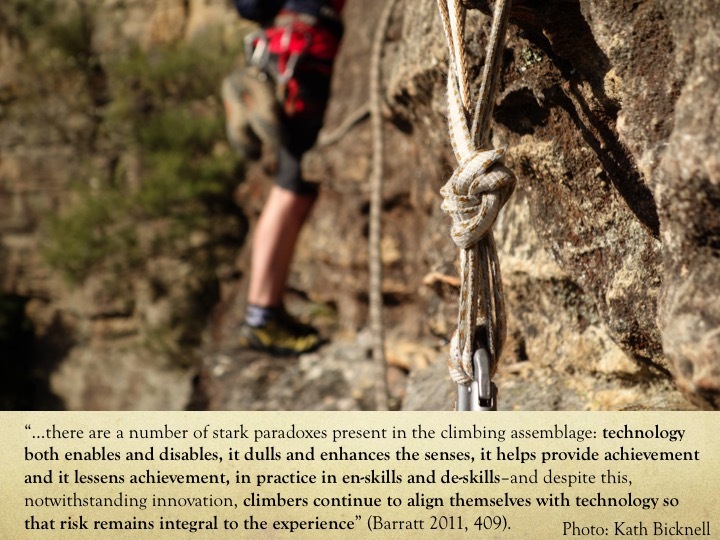 Innovation in sport is often aimed at increasing the performance of athletes or making the sport accessible to a wider number of participants. In the male dominated arena of mountain bike riding these developments tread a fine line between catering for the masses and reaching a more limited women’s market. 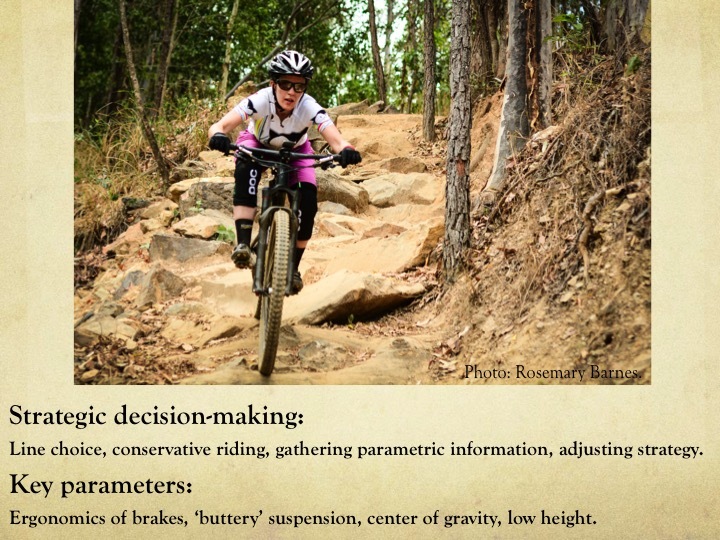 This paper draws upon methods from phenomenological anthropology to consider the positive impacts for female riders of two recent technological shifts in the mountain bike subculture. These are the introduction of larger wheel sizes to bike design and the online recording and sharing of GPS training data through the website, Strava. While debate among cyclists regularly centres on the performance capabilities provided by these innovations in a competitive sense, I suggest that they have made big inroads into increasing women’s participation, embodied capabilities and enjoyment at recreational levels. These developments allow risky landscapes to be reconceptualised as playful taskscapes. They have normalised ideas about what is possible for female riders, increasing confidence, pleasure and individual ‘I cans’. They make equipment more user friendly for beginner riders, become written on the flesh of the physical body and promote a sense of corporeal connection between previously isolated participants. 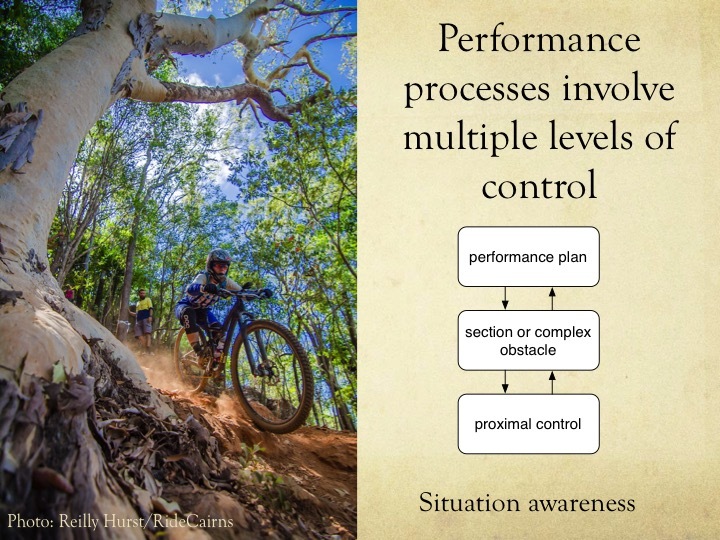 By exploring the ways new technology mediates individual and collective experiences in mountain biking, this paper explores the dynamic relations between equipment, perception, cognition and performance. The drive mountain bike riders have for constantly extending their embodied abilities, in ways that are heavily mediated by ongoing technological development, opens the door for insightful discussion on how technology shapes phenomenological experiences within other lifeworlds too. 10th Conference for the Australasian Society for Cognitive Science – 8-10 December 2014, Monash University. In elite level mountain bike races competitors base their actions on many variables. These include the deteriorating condition of the track, the rider’s own speed, skill, strength and emotional state, equipment capabilities, goals, race duration and the strengths, weaknesses and positions of competitors. We will argue that the sense of agency plays an important role in this kind of skilled performance by providing highly discriminative awareness of multiple causal influences on outcomes, and awareness of the current state, capacities, and intentions of others. This kind of discriminative awareness has not been adequately captured by existing phenomenological characterisations of the sense of agency, and we propose a new conceptualisation that consolidates and amends previous ideas. We further argue that comparator and cue integration theories lack the resources to explain the full structure of this phenomenology, and we suggest that causal models, flexible attentional control, and top-down regulation of perception should be incorporated in models of the sense of agency.